Recommended Reading/Further studying to show yourself approved! For the sake of not repeating myself obnoxiously…I can only say…to miss out on these resources is to try and taste food with your nose plugged! Hebrew was Yeshua’s (Jesus) language…the language of the Old Testament and for good reason! Consequently it was the language of origin for most the writers of the New Testament too! Though it is likely Yeshua and those authors who followed Him spoke and wrote Greek too, they were all very educated and “brought up” immersed in Hebrew. Its no accident! The more you learn the Word of God from this perspective the more you understand why God purposed His Son to be brought up in its culture and language! 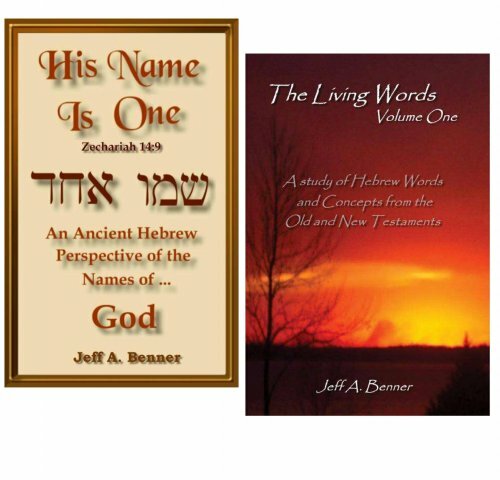 I recommend all of Jeff Benners work…not because he’s inhumanly un-falable but because his work is to glorify the True Author of the Bible, God, Himself. Not man’s intellect in its translation, but the work of the Spirit’s. To boldly go where man won’t without His decisive lead!